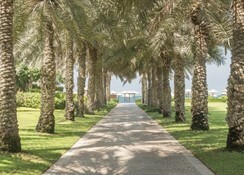 Coral Beach Sharjah is situated directly on the sandy beach. 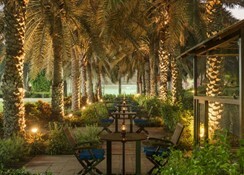 The closest cities to the hotel are Dubai (20 km) and Ash Shariqah (300 m). To make your stay more comfortable a lobby, a conference room, a reception, air conditioning, a lounge, a mini market and shops are available. The staff in this 6 storey hotel speaks German and English. A playground for children is available. For guests who wish to be mobile, car rental can be arranged. 2 swimming pools with a separate children's pool are available. Sunshades and sunbeds are available free of charge at the beach and at the pool. The hotel is within easy reach of city centre and medical services. Distance from the hotel to: disco (7 km), airport (15 km), airport (25 km), tourist information (4 km), shops (7 km) and supermarkets (7 km). Vehicles may be parked in the parking lot. For convenience the hotel offers ironing service, a safe, laundry service, wake-up service, currency exchange, room service and maid service. Internet access is provided at wifi-hotspots. This family friendly hotel offers babysitting service and a children's pool to ensure a comfortable stay for parents as well as young guests. 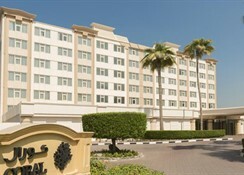 The hotel offers a conference room where the following are featured: catering service and internet access. Reception hours: 24h Service. 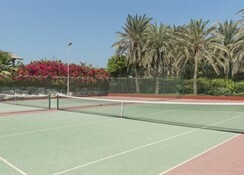 Activities such as table tennis and billiards are offered at the hotel. 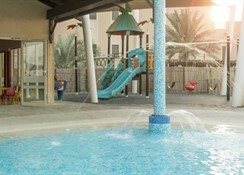 At Coral Beach Sharjah recreational amenities include a sauna, a sun terrace, massages, a spa and a relaxation room. Guests who wish to be active on holiday can enjoy activities such as aerobics, exercise in the fitness room, beach volleyball and tennis. 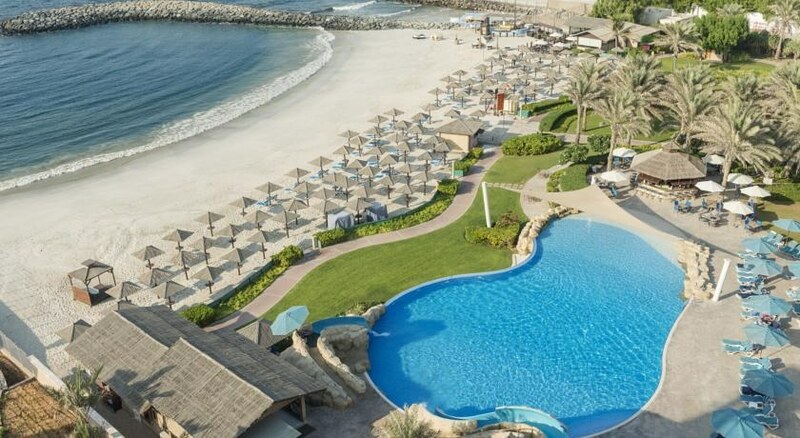 This bright, beachfront hotel overlooking the Persian Gulf is 7 km from Sharjah Art Museum, 10 km from Al Noor Mosque and 18 km from Sharjah International Airport.